The interesting article on Albert Ball in the September-October 1981 issue of The Lenton Listener veiled the identity of a distinguished stepson of Lenton under the guise of 'a Col. A. W. Brewell'. 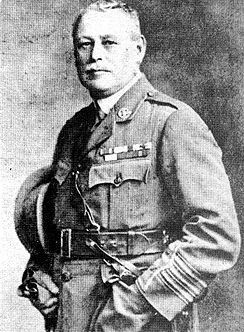 Arthur William Brewill was indeed a Lieutenant Colonel, and commanded the 7th Sherwood Foresters on the Western Front during the First World War, when he was in his fifties, but his other distinction is that he was one of Nottingham's best architects of the 1890s and the early twentieth century. A. W. Brewill was born in Nottingham in 186l, and after becoming a Fellow of the Royal Institute of British Architects (on whose Council he later served for two terms), became surveyor of the diocese of Southwell and partner of Basil E. Baily, with an office in Long Row in 1894. This partnership lasted until Brewill's death in 1923 and was responsible for a number of churches, including Holy Rood, Edwalton and the very attractive Presbyterian (now Christian Science) Church at the corner of Mansfield and Villa Roads, together with a number of private houses in the Midlands and on the East Coast. Their Territorial Head-quarters (later used by the Post Office) in Derby Road, just on the Lenton side of Canning Circus, is however one of their less successful buildings, being rather heavy in effect. How great a share of the credit for the firm's work is due to Brewill is as yet unknown, but buildings attributed to him alone do survive - the replacement church at Colston Bassett and the Sherwood Foresters' Memorial Tower at Crich. The firm had a more than just local reputation - when a German architectural critic came to study our domestic architecture in the early years of this century he gave favourable mention to the 'good work' of Brewill & Baily. The Albert Ball Memorial Homes seem to be the only work of A. W. Brewill in Lenton, but Sir Albert Ball, as he was to become, presumably approved the choice of Brewill & Baily as designers of the 'architectural work' connected with the statue of his son which the City of Nottingham raised on Castle Green in 1921. It is tempting, on grounds of style and because of Sir Albert's approval of Brewill, to think that the architect may have designed the simple neo-classical monument to members of the family which can be seen on the outside wall of Holy Trinity Church tower. However the order of the names on it suggests that it was not put up until the death of Harriett Mary, Albert Ball's mother, eight years after Brewill died. It is just possible that Sir Albert might have commissioned the monument during Brewill's lifetime or while Baily was carrying on the practice after his death, for use at a later date. The connection between the Brewills and Lenton only came to light with the chance discovery in Holy Trinity Church yard of the Brewill family grave stone. It commemorates the architect's father William Rastall Brewill (1804-1897), his first wife Ann (died 1859, aged fifty), their daughter, Elizabeth (died 1842, aged nine), and also the architect's mother Sophia, W. R. Brewill's second wife, who died in 1886, aged sixty six. W. R. Brewill seems to have come to Nottingham from Newark as a young man, and to have established himself as a butcher in Willoughby Street, Lenton during the 1830s. By 1840 he had moved into town, running a butcher's shop in Angel Row and later in Carrington Street. Since he attended All Saints' Church, Nottingham from 1864 until his death, it is surprising that he should be buried in Lenton, especially as Holy Trinity Church was not built until 1842, after the elder Brewill has moved into Nottingham. Perhaps he intended to return to Lenton and bought a family vault so that he might eventually be buried there.